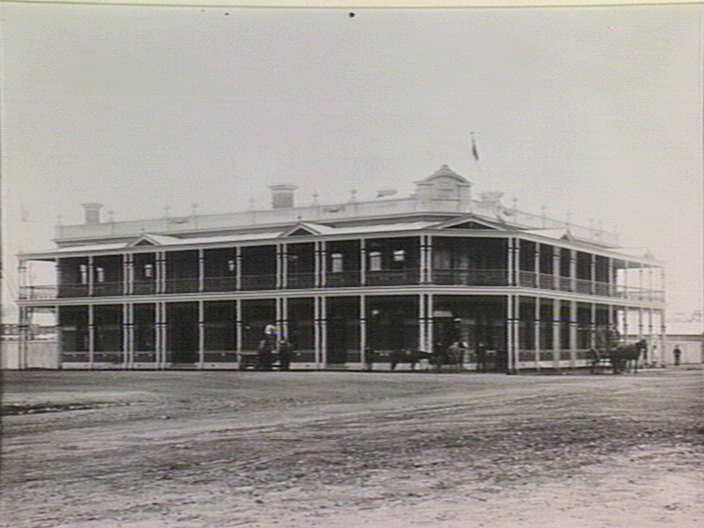 The Grand Terminus Hotel was designed by H. French and the construction supervised by J. French. 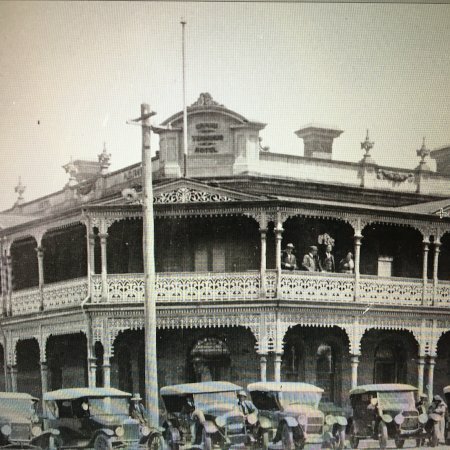 During the final stages of construction on Saturday August 3, 1889 the Bairnsdale Advertiser wrote “the building is fit for any city in the world” and that “the quality features are beyond words”. The final stone was laid on 1 August 1889. The reverse side of the final stone has an engraving of the Hotel with the words Grand Terminus Hotel. The location of the stone remains a mystery. 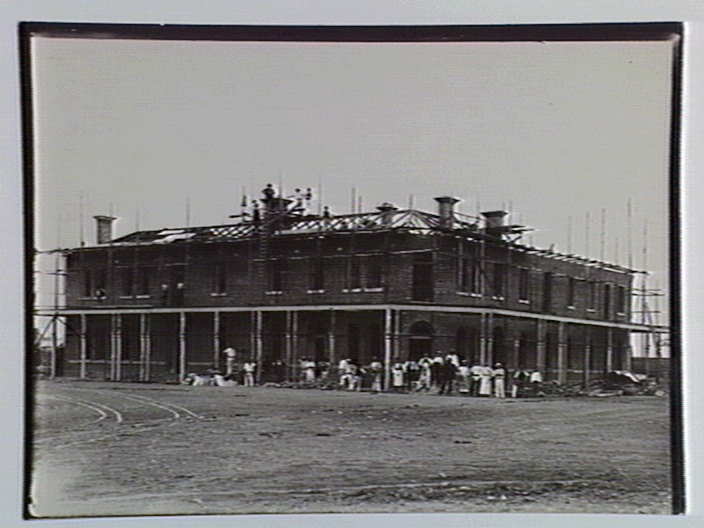 Construction of the Grand Terminus Hotel, Bairnsdale. Macleod street on which the hotel is built is named after Archibald MacLeod, in circa 1845 Archibald was the first settler to take up land in the area. He called his run “Bernisdale” after his birthplace on the Isle of Skye. The area of Bairnsdale was originally occupied by the Kurnai Aborigines, it was surveyed in 1840 by Angus McMillan. Angus is famed for naming the Mitchell River where Bairnsdale is built. In 1842 Frederick Jones was the first European settler in the now Bairnsdale area. He settled at what is now know as Lucknow and used his land to breed horses for the Indian market. 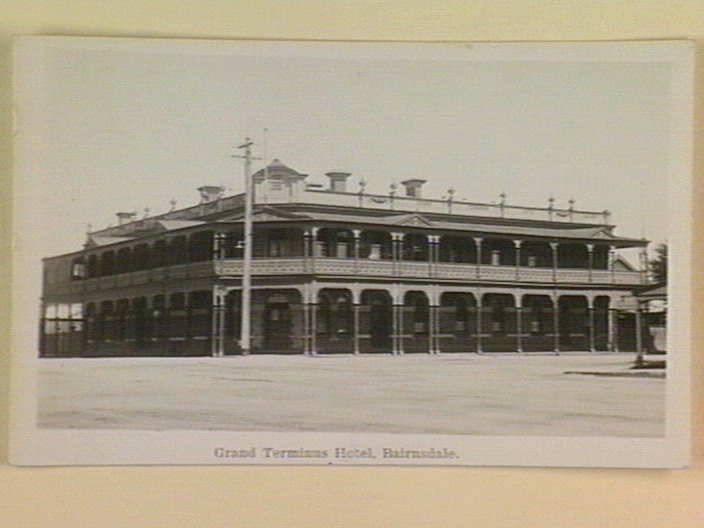 The railway arrived in 1888 and hence the building name Grand Terminus.